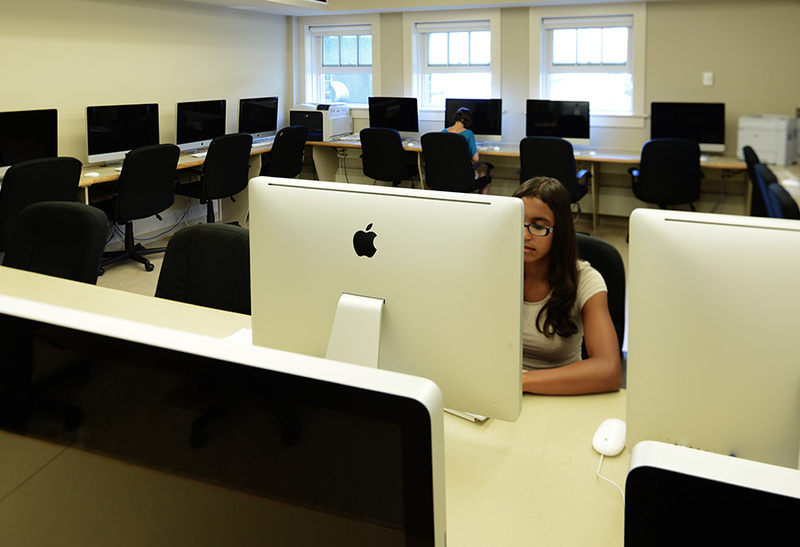 Not often does a city get as much mileage from a renovation project as Kingston, New York, received from the “school within a school” concept in the Kingston City Schools’ Carnegie Learning Center. 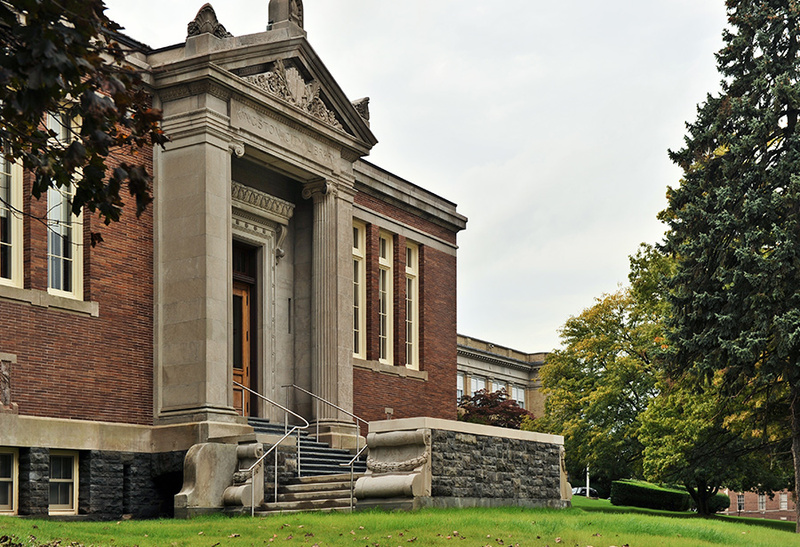 A 100-year-old building originally funded by Andrew Carnegie, the library had sat vacant for 30 years when the District acquired it from the city. 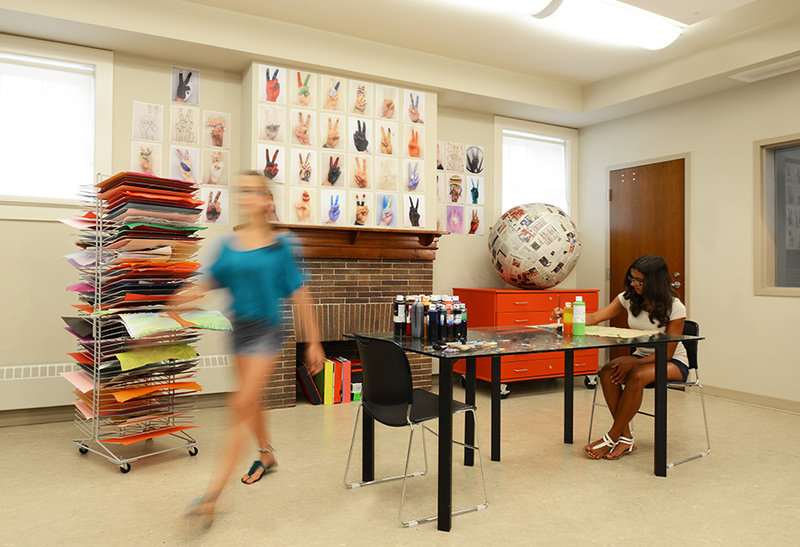 Today, a fully renovated library meets the needs of Kingston City High School students during the day, and in the evening serves as home to the Center for Creative Education providing arts education and a wellness program for low-income and at-risk youth. 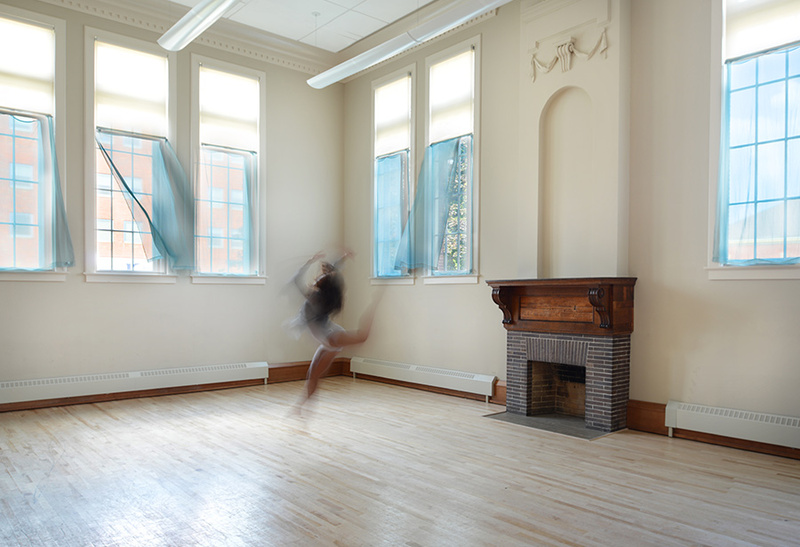 Carnegie Learning Center has exhibition space, a Mac-based film editing suite, a performance arts studio, a visual arts studio, and the original small theatre was repurposed for theatrical events and storytelling. The original stairway is preserved as an architectural element, and a wider and sturdier staircase was added for everyday occupant use. Another modern feature is the sprung wood floors in the main floor spaces. The renovation included brick re-pointing, roof and chimney repairs, and adding new storm windows to address water concerns. An elevator and restrooms were added to the rear of the building and provide ADA compliance. To bring the space up to 21st century standards, the team modernized heating, ventilation, air-conditioning, electrical, and IT systems. Grant funding was obtained to provide for one fourth of the project’s construction costs; greatly alleviating taxpayer burden and making the project economically feasible. 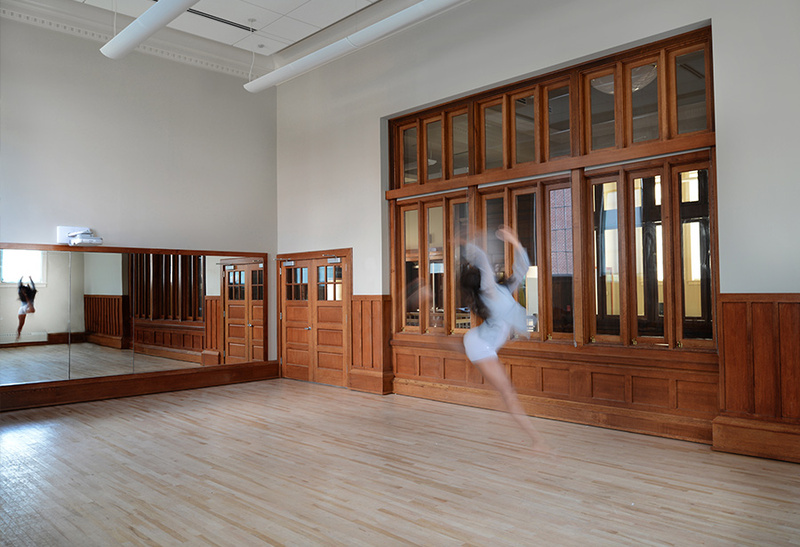 KSQ worked with Cultural Resource Consulting Group to sustainably rehabilitate and modernize the library (listed on the National Register of Historic Places). The project received LEED Silver certification.